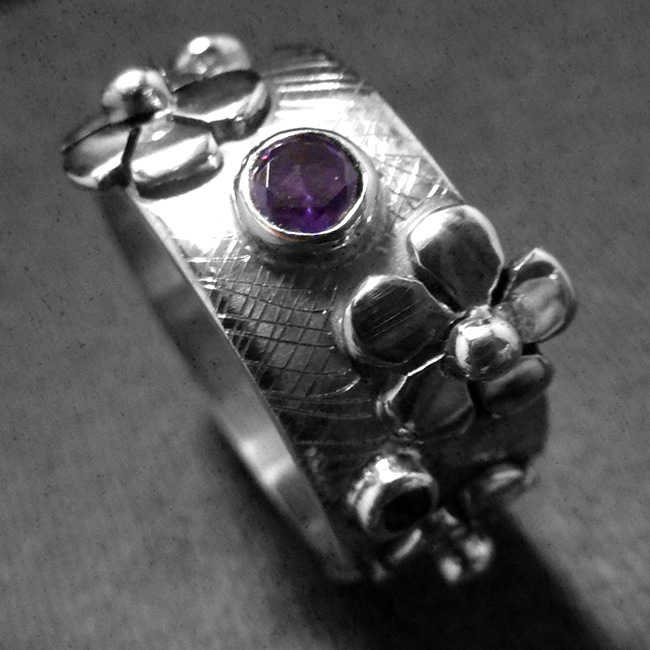 Commission piece using three amethysts. Fantastic wedding ring. 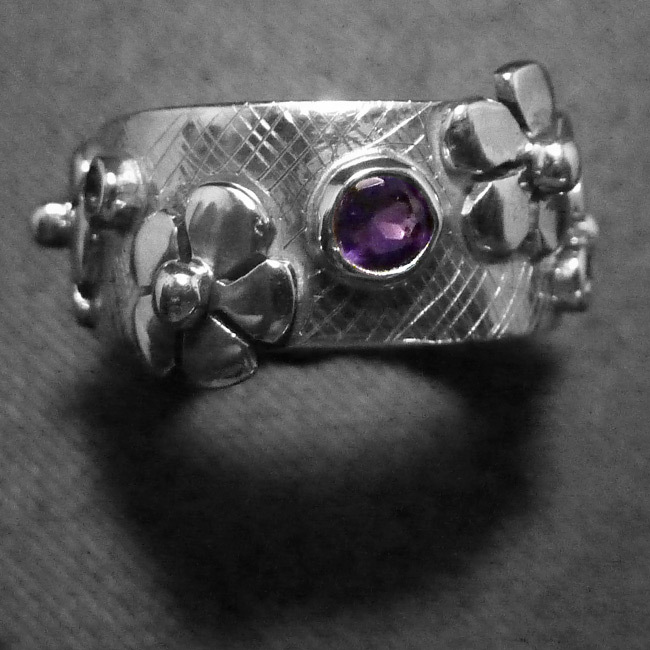 Amethyst is the › birthstone for February. SKU: N/A. 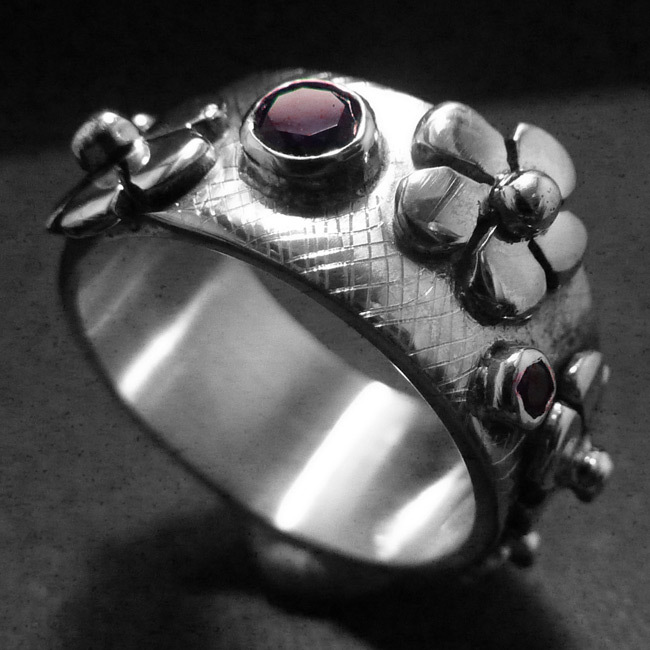 Availability: In stock Size: N/A Categories: Rings, Ring, For Woman, Engagement, Wedding Jewellery, Engagement Rings. Tags: daisy, engagement ring, LWSilver, ring, silver, sterling silver, wedding ring.